What is the Ultimate Canon Portrait, Wedding and Events Camera for 2019? What are the important features for a portrait, wedding and events camera? While a simple portrait session can be rescheduled, weddings and similar events are big deals with huge effort and costs put into them and they cannot be repeated. These events will go on regardless of the photographer and any issues the photographer encounters. Since the photographer is obligated to deliver high-grade and highly-anticipated images from the event, issues must be avoided (quality gear) or dealt with immediately (redundant gear). Redundancy is very important for wedding and event photographers and a basic redundancy practice is to utilize dual memory card slots for simultaneous image storage with availability of a backup immediately ready to go off site. This of course requires a camera with that capability. Wireless file transfer is another option for immediate image backup. Redundant cameras should be considered mandatory for important events. While the primary and backup event cameras do not have to be the same model, the backup camera must be reliable and capable enough to become the primary camera if necessary. Having all cameras being functionally similar avoids acclimation issues when switching between models. It is somewhat difficult to understand camera reliability while shopping as most cameras seem to always reliably work. But, higher-end models typically have greater durability. The shutter is one of the most-moving camera parts and the shutter durability rating provides a glimpse into what that feature's life expectancy may be. Events can generate very high image volumes, quickly surpassing the shutter durability ratings of lower-end cameras. Shutters can be replaced but having a camera out of service is a risk exposure and there is a cost to the repair, at least partially offsetting the cost of buying a better camera initially. A magnesium alloy frame reflects on a camera's intended use and while weather sealing may be not an expected need for photographing weddings and events, it may be needed – even indoors sometimes (ever spill a drink while a camera is hanging from your neck?). Printing large means high resolution is important. 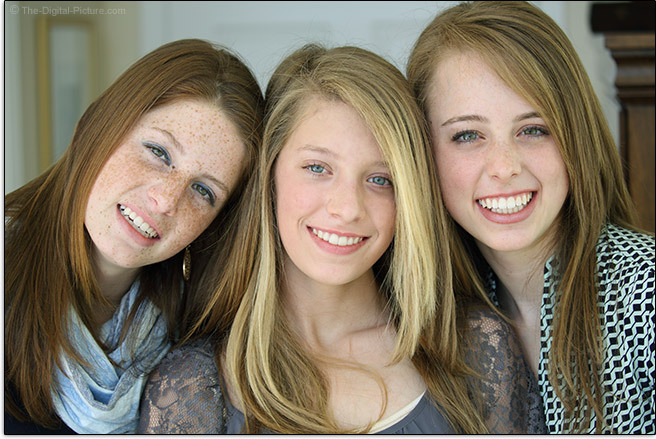 With portraits being often output in large size (especially wedding and sports portraits), no camera has too much resolution. While the lower-end current models may have very adequate resolution for most needs, being able to print larger can make a get-the-job difference. People events are often low light and that means high ISO performance is highly valuable. Full frame imaging sensors rule in this regard. Wedding and event photographers should purchase the best quality gear they can afford. That advice also applies to portrait photographers, though portrait photography often has less time sensitivity and the camera requirements can often be relaxed in this case. Most cameras can capture good portraits (check out the general purpose camera recommendations), but the ones below remain the best choices. When you need the fastest, most rugged, most dependable and most feature-filled camera Canon makes, this is the one you want. 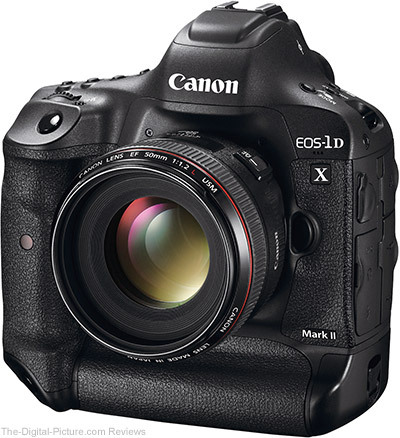 The 1D X II is trusted by those photographing the Olympics, the Super Bowl, the Pope and (put any other major event here) and I trust it will perform amazingly well for you also. This camera is not small, light or inexpensive, but when getting the image matters greatly, this is most often the chosen model. If high resolution is needed along with all of the other important portrait and event features, this camera is a great choice. Canon's original 5-series cameras, initially bringing us an affordable full frame body and later disrupting the video marketplace with an extraordinary quality:price ratio, were huge hits. The 5D Mark IV builds on those initial qualities and brings many incredible new ones including Dual Pixel CMOS AF (with Movie Servo AF) and 4k video. Don't worry, still photographers have plenty to drool over with this camera including excellent dynamic range, a solid frame rate, very high resolution and of course, the awesome Canon color you love. The Canon EOS 5Ds R and 5Ds are two more excellent choices that are similar to the 5D IV. 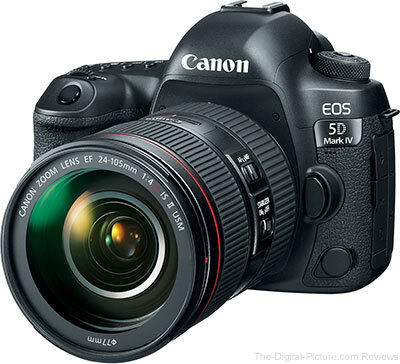 The 5Ds models' primary advantage over the 5D IV is a (significantly) higher 50 MP resolution. The Canon EOS 5D-series made full frame imaging sensor-format cameras affordable and the Canon EOS 6D-series models took that affordability to another level. For a moderate price, the 6D-series cameras deliver full frame image quality greatness and, in addition to having the most-needed features, the 6D Mark II brings many of the latest technologies with it. Unfortunately, dual memory card slots is not a feature of the 6D Mark II, making it a less ideal choice as the primary camera for weddings. When you want a really good camera but do not want to pay the price for a full frame model, the 80D is probably the right option for your portrait needs. The size of this camera makes it easy to handle and the bright, large viewfinder is very nice to look through. The 80D's overall great performance and huge feature set make it the ideal choice for a huge number of people. 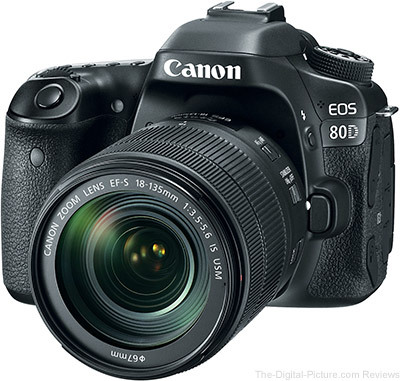 However, like the 6D Mark II,the 80D does not feature dual memory cards lots. Just as important as the camera are the lenses used on it. The Portrait Lens Recommendations and Wedding Lens Recommendations will help you select the right lens for your portrait, wedding and event cameras.